Sermon preached at Our Saviour Lutheran Church, Fareham, on Easter morning, 24 April 2011. “Do not be alarmed. You seek Jesus of Nazareth, who was crucified. He has risen; he is not here. See the place where they laid him. But go, tell his disciples and Peter that he is going before you to Galilee. There you will see him, just as he told you.” And they went out and fled from the tomb, for trembling and astonishment had seized them, and they said nothing to anyone, for they were afraid. Said nothing? ! Nothing? ! What started as the good news of Jesus Christ, the Son of God—Mark’s famous opening line—ends up with this crushing anti-climax. Jesus is risen, but no one hears about it, because the women said nothing to anyone because they were afraid. In fact, it’s such an awful way to end the Gospel, that some time after Mark had finished writing his, some people came along and tried to make amends for his seeming incompetence by writing better conclusions. If you look up Mark 16 in your Bibles, you will find at least two different endings after verse 8, which break the women’s silence and end the story as it should end. And in more recent times, since it has become obvious that those longer endings aren’t original, well-meaning scholars have suggested all sorts of theories as to why Mark didn’t actually get to finish the gospel, or how his real ending got lost somewhere. But is it really so bad? Do we need to be embarrassed or even puzzled? 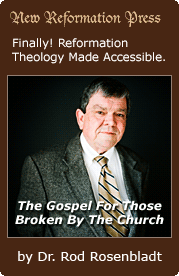 Closer examination of the gospel suggests that the opposite may be the case. There is a great comfort in this. When we struggle with the weakness of our faith, or when our own agenda takes over God’s will, Mark kindly reminds us that we are not alone. The great apostles were just the same, and yet Jesus chose them to be His ambassadors to the world, bringing about His kingdom by proclaiming His word. He bears with our weaknesses as He bore with theirs, and it is by His calling that we are made into God’s children, just as they were called not because of their excellence but simply because He chose them. And as He equipped the apostles for their ministry, so will He also equip us for our place in His kingdom, whatever that place may be. As the apostle Paul writes to the Corinthians: His power is made perfect in our weakness, because His grace is sufficient. More than that, when He took on human flesh, it wasn’t just a bit of play acting, only pretending to be one of us. No, He suffered fear and anguish and temptation as we do. Therefore, He is able to sympathise with our weakness—not only in principle, or because He is all-knowing, but because He has experienced weakness, yet without sin. And so it is most appropriate that Mark’s Gospel should end the way it does. 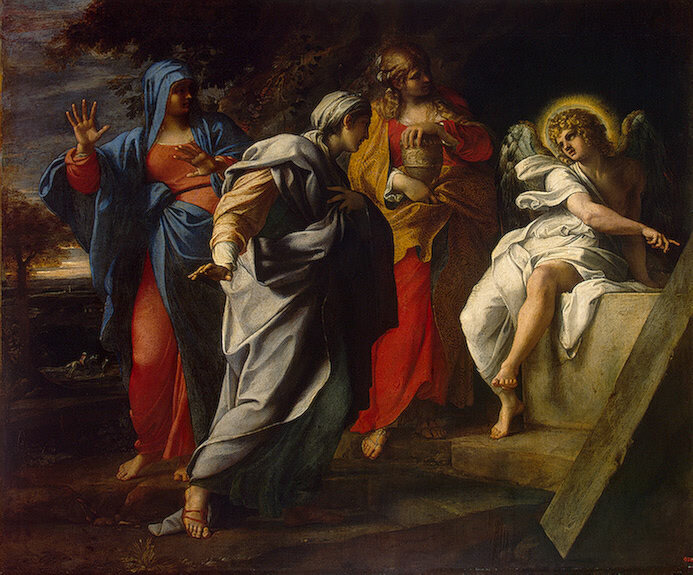 The women fled the tomb and said nothing to anyone, for they were afraid. Jesus was alive, but they had not encountered the risen Jesus, and so the news of His resurrection was not a comfort but a source of trembling and astonishment. It made no sense, they couldn’t believe really believe it, so they said nothing. How typical—not only of them, but of every disciple in Mark’s Gospel: seeing yet not believing, missing what should be obvious. I mean, what more did they need? An empty tomb, and an angel explaining exactly what it all meant. The meaning should have been obvious. They should have rejoiced and told everyone, not trembled and told no one. But, again Mark is doing us a great favour in drawing attention to the women’s unbelief. Because it shows that we are not alone with our doubts and struggles, our fears and our fearfulness. The facts are evident, and we are reminded of them week after week, year after year, as we hear the Scriptures read and proclaimed. There may be no angel from heaven, but angels of God, His messengers, have faithfully pointed to the empty tomb again and again, proclaiming that Jesus is alive and has gone ahead of us. But where joy and courage should follow, there is trembling and astonishment. Where we should be quick of feet to tell everyone that the Lord has risen, we say nothing to anyone, because we are afraid. And yet, we know how the story ends. Mark had no need to give the Gospel a neat ending, because everyone knew what happened next. Within a few short hours, the astonishment and fear had been replaced by rejoicing, and the silence had turned into breathless proclamation: He is risen! By the time Mark put pen to papyrus, the news of Christ’s resurrection had travelled thousands of miles all around the Roman empire and beyond, and it is still spreading. Because it is His Gospel, the Good News of Jesus Christ. Death could not hold Him down, and the weakness of the women at the tomb could not hold back the life-giving news of His rising. When they encountered the risen Christ, His voice and His touch melted away their fear and turned their silence into joyful words. Easter morning will not have been the last experience of fear and doubt for these first witnesses of the resurrection. Even though the encounter with the risen Lord dispelled their anxiety and replaced it with joy, after His ascension there will have been many anxious moments. Anxieties about daily bread, about health, anxieties in the face of persecution, anxiety in the face of approaching and impending death. Anxiety in the face of sin and doubt. The feelings of joy will have been a memory than a reality. How would they recover the joy and the confidence? How do we gain, and regain the same joy and confidence that was theirs then? True Christian joy comes from the encounter with the risen Jesus. That was true on Easter morning, and it is true now. The very joy of heaven will be the joy of the presence of the risen Jesus. When fear and anxiety threaten to take over our lives, we need to seek the presence of the risen Jesus. Even as we suffer, we can share Job’s confident hope: I know that my Redeemer lives: my life is no longer defined by my present circumstances but by the future hope made present now. There is nothing airy-fairy or abstract about this encounter. Jesus is not your imaginary friend. No, the risen Lord is present here and now. He it is that is speaking to you, as He spoke to the startled disciples on the first Easter Sunday. His crucified and risen body is about to enter this room, as it entered through locked doors on the evening of the first Easter. You can touch His body as Thomas touched it and was transformed from doubting Thomas to believing Thomas. And as you encounter Him in the Divine Service, and through faith recognise that it is indeed He and that He is indeed living and present here for you, your doubts, fears and anxieties will go the same way that the doubts, fears and anxieties of the three women at the tomb.